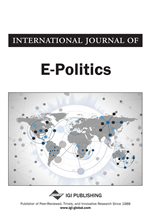 This article applies and extends the concept of social media logic to assess the politics of immersive storytelling on digital platforms. These politics are considered in the light of what has been identified as mass media logic, which argues that mass media in the 20th century gained power by developing a commanding discourse that guides the organization of the public sphere. The shift to social media logic in the 21st century, with its grounding principles of programmability, popularity, connectivity, and datafication, influenced a new discourse on the logics of digital ecosystems. Digital platforms such as Facebook are offering all-surrounding mediated environments to communicate in Virtual Reality (‘Facebook Spaces') as well as immersive narratives such as Mr. Robot VR. This article provides an understanding of the politics of immersive storytelling and of its underlying principles of programmability, user experience, popularity, and platform sociality, which define immersive technologies in the 21st century. On October 6, 2016, Facebook CEO Mark Zuckerberg gave a glimpse of his vision of social networking through Virtual Reality (VR) technology. When he took the stage at Oculus Connect in California to present a demo version of the company's ideas for VR, the announcement did not only include the launch of Facebook’s ‘360° Spatial Workstation’, a mainstream platform allowing users to upload and share 360° videos. But it also showcased the launch of 'Facebook Spaces', which enables users to connect with others in a VR environment. Zuckerberg’s demo imagines Facebook's social media platform as a three-dimensional space, in which users can move and interact, feel involved, and engaged with others. User’s profiles on Facebook will be enhanced by the creation of three-dimensional digital avatars, which are able to fully interact with each other. In addition, ‘Spaces will be able to allow users to view 360° content by literally becoming surrounded by content productions such as videos, and to meet friends via their digital animated avatars, share information and watch streamed entertainment content together. Users will be able to have a feeling of presence, the immersive sense of actually being inside an immersive space. With Facebook's $2 billion acquisition of start-up company Oculus and its VR head mounted display-technology (HMD) Rift in 2014, and multiple new platforms such as Google (Daydream VR), Sony (Playstation VR), Samsung (Gear VR) and HTC (Vive), the idea of immersive digital ecosystems is already very much part of our cultural landscape. Oculus is part of Facebook’s strategy to expand its digital ecosystem to full sensory technology and fully immerse users on its social media platform. According to Facebook’s full year results (Facebook, 2017), monthly active users (MAU) were 1.86 billion in 2016, which is an increase of 17% year-over-year. Much more relevant are mobile MAU’s, which were 1.74 billion with an increase of 21% to the year before. Mobile advertising revenue represented approximately 84% of the advertising revenue. Immersion ((lat. immersio: dive under, dive in) is the key: Facebook claims its users already spend more than 50 minutes a day across Facebook’s suite of apps globally, a number that grows if you include communication on instant messenger service WhatsApp. A figure that, along with ad impressions and average price per aid, is about to increase with the mass market implementation of VR HMD technology and a wider range of content productions.